Now for something Russian. Here's a glimpse from the lookbook of Ulyana Sergeenko. 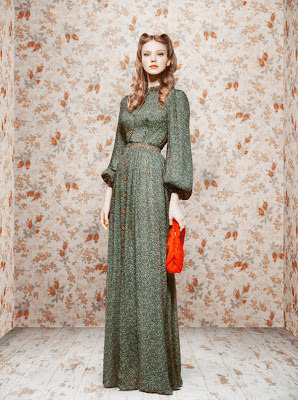 The debut collection was inspired by 1950's Soviet Vogue. Deliciously feminine silhouette I love every piece. Divine, ladylike, polished, elegant...just perfect.